At Reysanwe are aware of how important it is to work with the best work team and with maximum safety. Therefore, in places where hands are used to handle food or chemicals is mandatory to protect them as safely as possible. 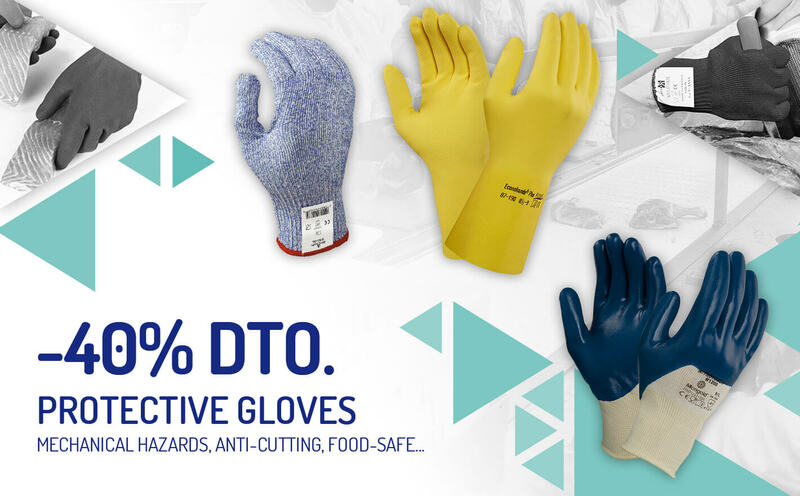 Starting today in our online shop you will find a selection of protective gloves with a 40% discount! Take advantage of this opportunity and find the protection glove that best suits your needs at an incredible price. * Promotion valid on a selection of protective gloves until end of stock. ** No points can be redeemed during the days of this promotion.